Is it possible to teach two Old Dogs New Tricks? I think it is, especially when you tempt one of them with a great treat like Milo’s Kitchen home-style dog treats. I always had a dog growing up. First was a little yappy Pomeranian named Nikki. I didn’t care for her much and after Nikki chased and caught her last car we decided to get a little mixed German shepherd puppy named Max. Now Max was a boys dream. We lived on five acres and Max and I would explore the creeks and woods. He was a great dog and lived long after I went to college. When Christie and I got married we lived in an apartment that was supposed to be pet free but we decided to get an evil cat anyway. Don’t get me wrong, I have always had cats as pets and have 3 awesome cats for the last 15 years but this first cat was evil. It was probably partly our fault since we tried to keep the poor cat out of the windows all the time. Fast forward a few years, we are in our home with two kids and two cats and a baby on the way. My lovely wife, in a pregnant moment, decided we need to add a dog to our already crazy life. Well, that experiment worked for about six months until new baby Ella came along and it was time to move on. A few years later we decided to add another cat we named “Snickers”. This was one of those moments when the wife and young kids were at a local farm and there was a basket full of kittens. I get the phone call from Christie and it goes something like this. “Hey, the kids really want this kitten, what do you thin”‘? Of course, I said “sure” which I found out in very short order was the wrong answer. I told Christie if you want me to answer a certain way you have to let me know first!!!! So snickers is my cat. 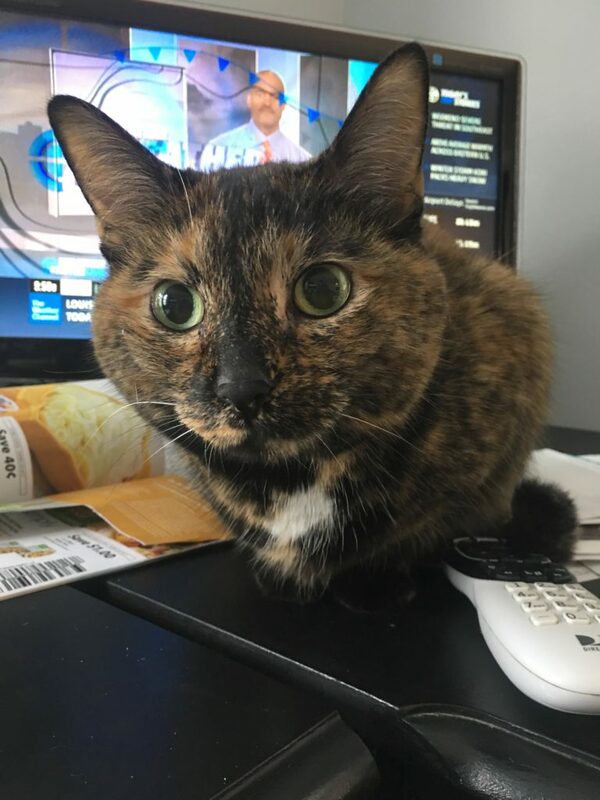 She is a tortie and they have certain characteristics that make them unique. She is more of a cat/dog than a cat. She growls at people outside the house, hunts and comes when she is called. Christie says I like her so much because we have the same personality. I don’t know what she means! So flash forward to February of this year. We have now been married 25 years and the kids are 18, 14, and 12. Over the years, the kids at times have begged for a dog and Christie has wanted one too but each time I have reminded them the dog will be their responsibility. Sorry, but I am set in my ways and work from home so it would be left up to me to take care of the dog. Around Valentine’s day, Christie and the kids went to a local adoption event called My Furry Valentine. The last thing I said before they left was DO NOT come home with a Dog. “We just want to see the puppies”, they told me. You will soon see how much control I have over my family. Two hours later I get a call from my youngest daughter Ella. 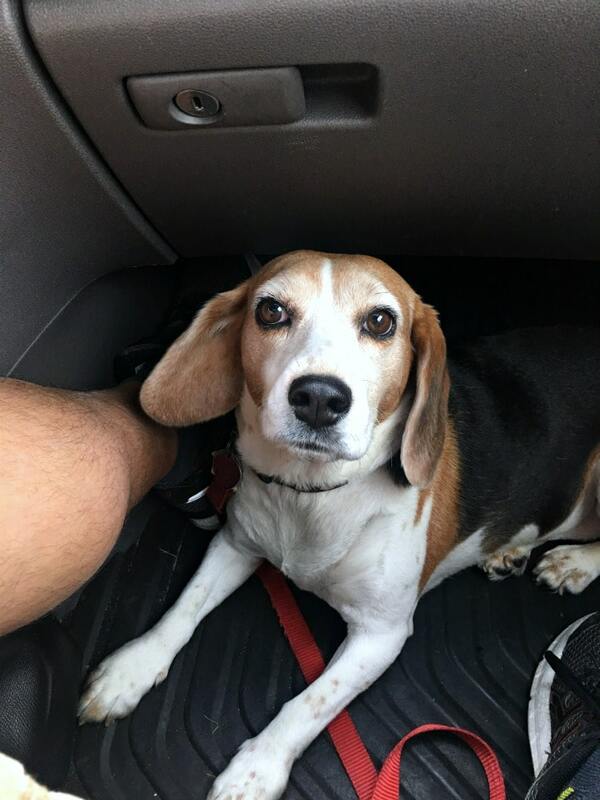 They have found a cute beagle and she wants her. Ugh, what do you supposed to do? So I laid the law down, they will be responsible for this furry beast. So after 25 five years, we are dog family. 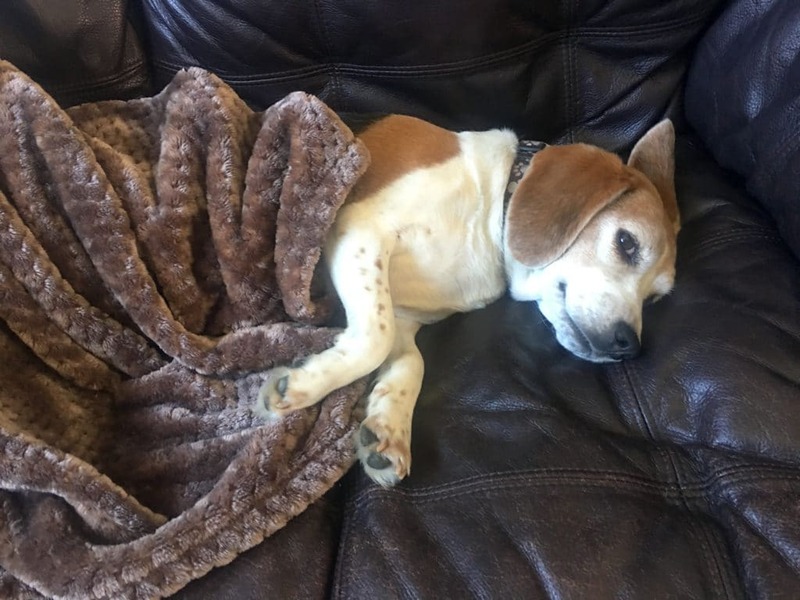 Bailey is the sweetest 6-year-old rescue dog that you will ever meet. She obliviously is not a puppy and more cat like than dog, but she is finding a place in our home and heart. I have made the joke that the kennel erased the 1 from the 16 and told us she was 6. We went with an older dog so we would not have to go through all of the puppy training. 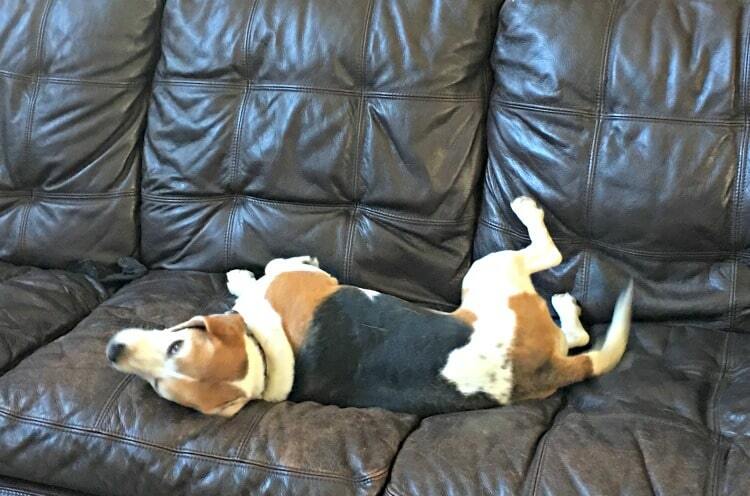 Well, that didn’t work; see Bailey the Beagle lived on a farm and had almost zero house skills. We have worked hard on training her and with the help of Milo’s Kitchen home-style dog treats we are getting there. She was not potty trained so there were many nights getting up to let her outside. She has had many accidents on the carpet. 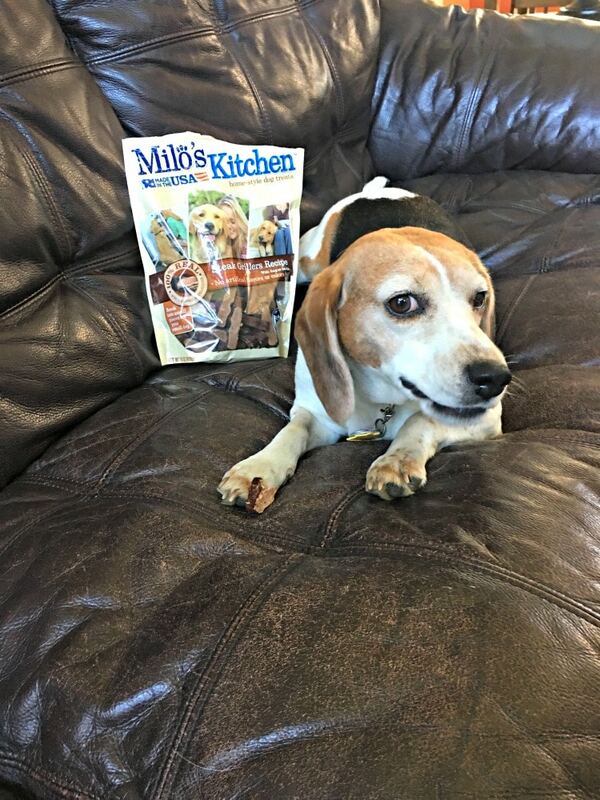 We have praised Bailey and used lots of different treats for rewards, but she really likes the Milo’s Kitchen home-style dog treats. Right know Bailey is loving the Steak Grillers recipe which is made with 100% real beef and is totally free of artificial flavors or colors. 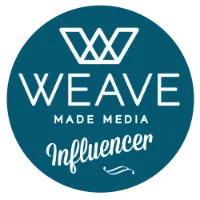 I feel our dog, which is part of our family, deserves the same quality of treats, like the recipes I serve my family, and I bring to you on the blog. We have had some setbacks with Bailey but we are finally getting her trained and in a routine. She is such a sweet dog it is hard not to love her. We discovered she does not like to be alone, doesn’t like thunder or being in a crate or bathroom at night. So, through trial and error, the family has come together to get her trained. We still watch her all the time and listen for her signals to let her outside but she is sleeping through the night, on her own dog bed in my daughter’s room. We also discovered part of her problem was she had worms. With that corrected, she is eating, sleeping and has more energy. 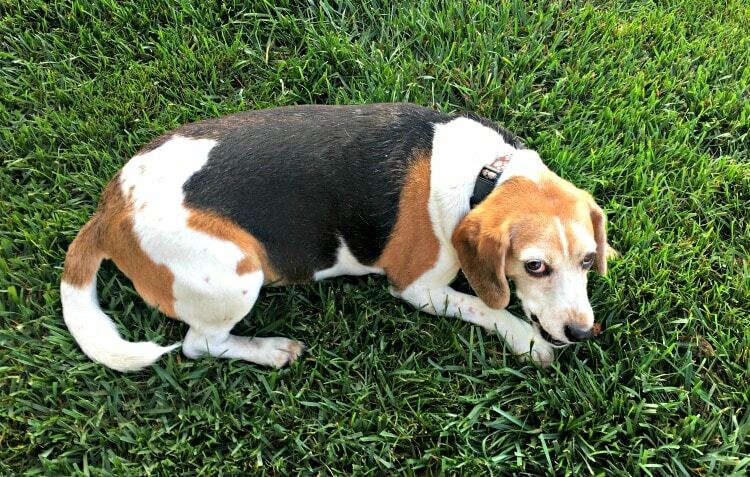 Bailey is on a good schedule and it is time to get her trained with the underground electric fence. 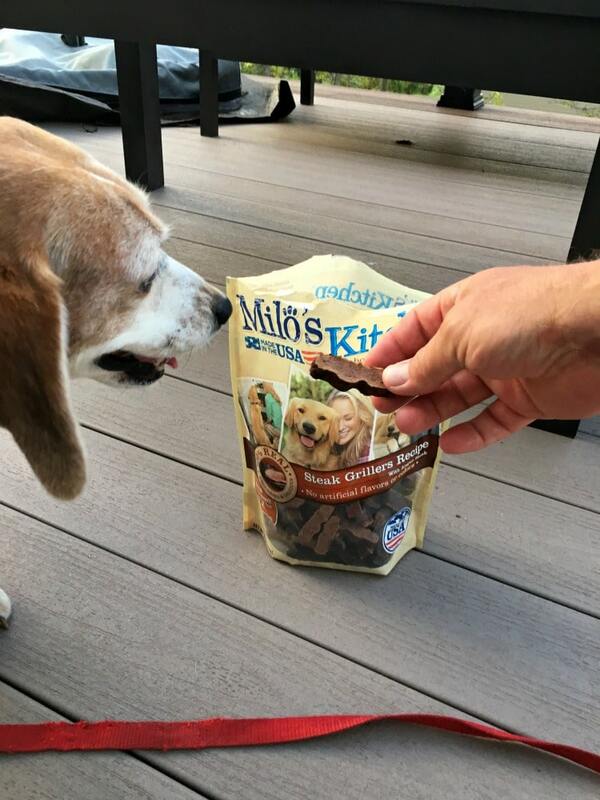 I am going to need a few more bags of Milo’s Kitchen home-style dog treats. See, it is possible to teach two Old Dogs New Tricks!! When you are looking for your next dog please remember the older dogs because they need a good home too. Dogs are part of the family and deserve to be treated like family. 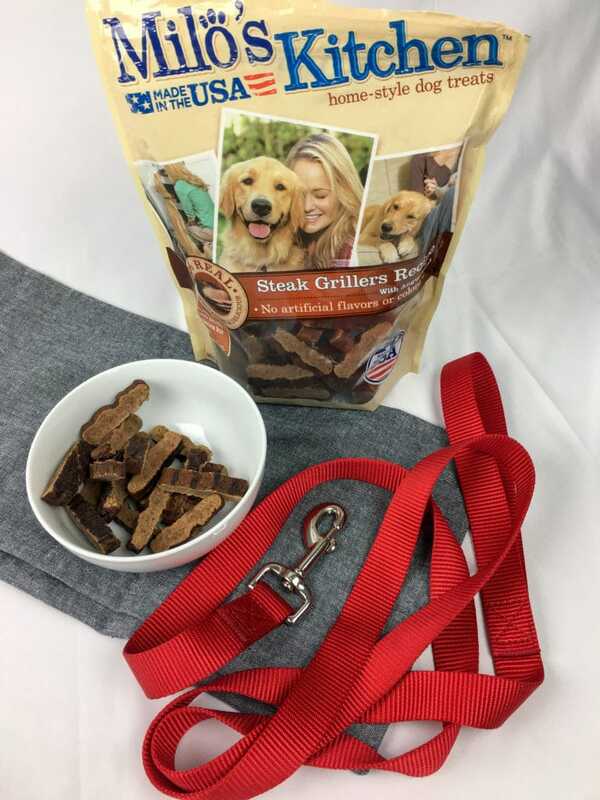 Give Milo’s Kitchen home-style dog treats, available at Meijer, a try and treat your dog to mouthwatering treats just like you make at home for your family.